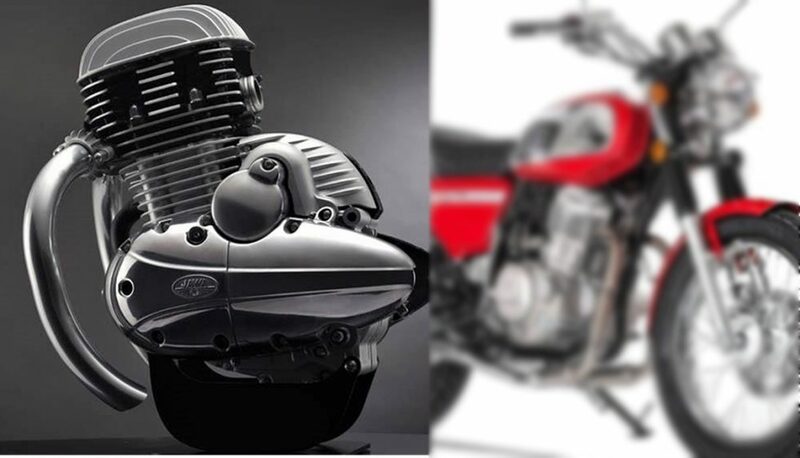 After unveiling the India-spec 293cc Jawa engine recently, Mahindra has now confirmed that they will be officially unveiling the motorcycle range in India on November 15, 2018. As of now, it is not clear whether the brand will only unveil the motorcycles or they will also announce the price list for the products. The primary rival for their upcoming bikes will be Royal Enfield, as no other brand offers a product with retro touch in this segment. It is expected that the Jawa motorcycles will be priced around INR 1.60-1.90 lakh. Classic Legends India Pvt Ltd signed a deal with Jawa in 2016 that gave them rights to sell products under this name in India and other South Asian countries. The above-listed brand is owned by Mahindra and thus, facts started surfacing about the presence of Mojo engine in the upcoming Jawa motorcycles for the Indian market. The engine from Mojo has been tuned heavily to make it BS6-compatible. The 293cc, single cylinder engine is available with dual overhead camshafts and liquid cooling, producing 27 hp of maximum power and 28 Nm of peak torque. The torque curve favors mid-range riding while the engine comes mated to a 6-speed gearbox. 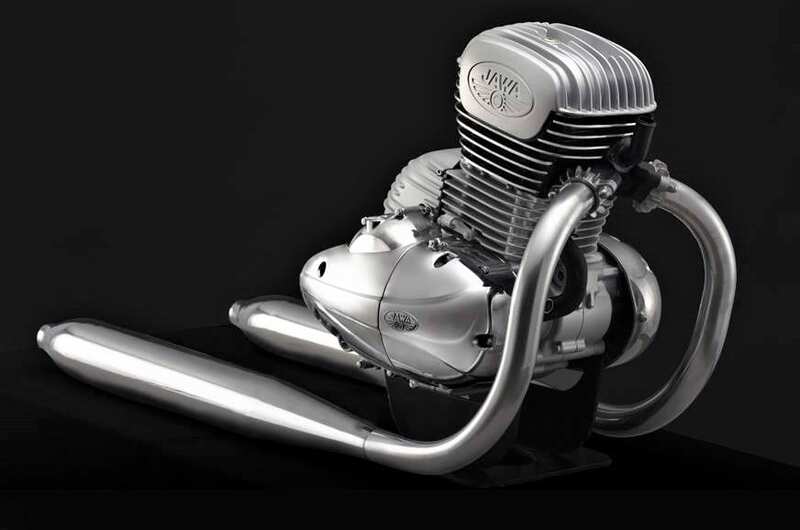 The brand has focused more on creating the iconic Jawa exhaust note through this modern setup. The best part for fans is the iconic engine design, looking almost identical to the engine seen a few decades back. 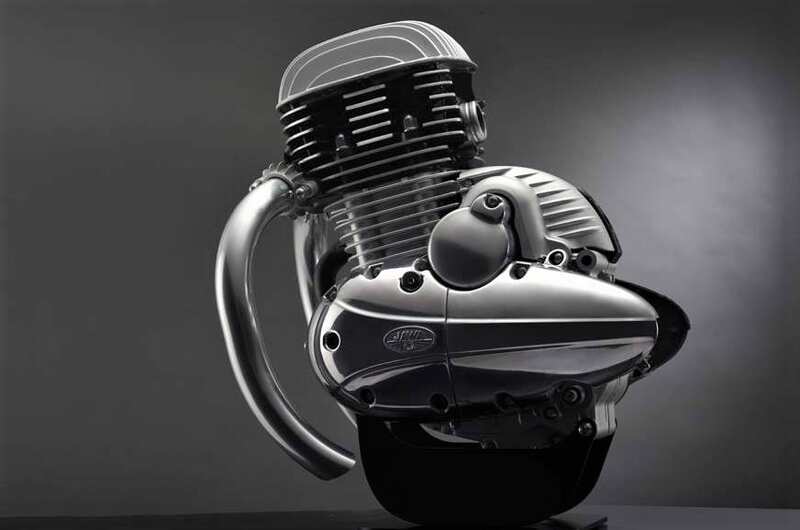 The single-cylinder engine has two exhaust pipes attached to the surface. The fins over the engine are carefully designed to maximize the area for cooling while curvy exhaust mufflers also take the viewer back into the time when these were popular among brands like Jawa, Triumph and Royal Enfield. The engine is based on the same bore and stroke as Mahindra Mojo, which actually produces more power and torque (27.2 hp / 30 Nm) than the Jawa specific engine.